As part of the exciting Sydney lighting festival, VIVID, we worked in collaboration with Arup on an interactive installation piece, we called RICOCHET. Lighting design and sound engineering consultants Arup, invited us to collaborate on what was to become a successful submission for the festival’s Vivid Light program for 2013. The piece represents the culmination of seven months of toil for the creative and technical teams, involving support from numerous sponsors, which has enabled the work to be realised. 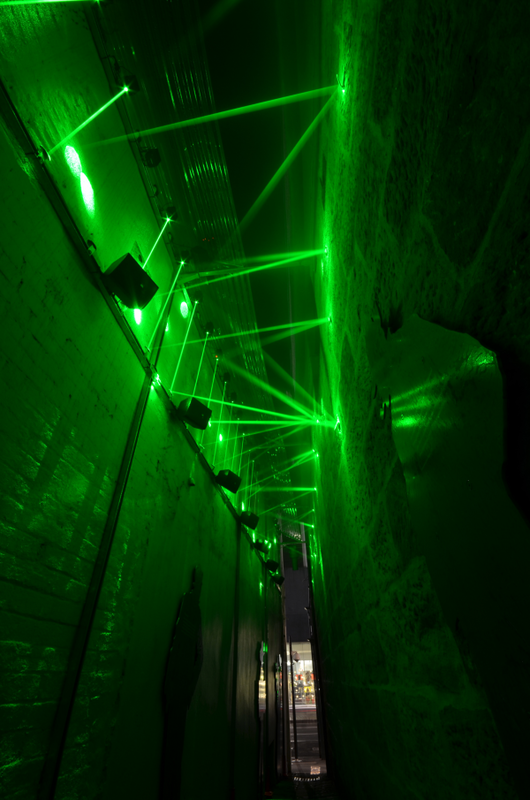 Together with ARUP we came up with the name RICOCHET for the installation, referring to ‘an interactive environment through light and sound’. 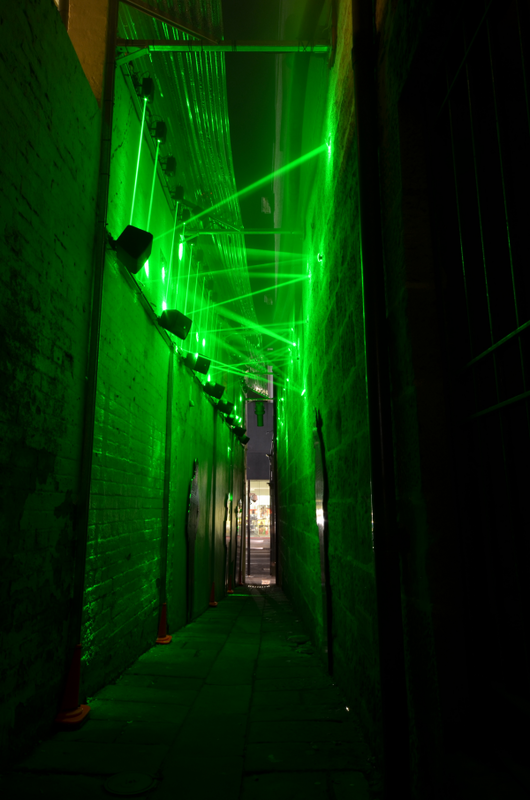 The lighting installation was installed in the Suez Canal laneway in The Rocks in Sydney as a part of the festival’s interactive light walk. 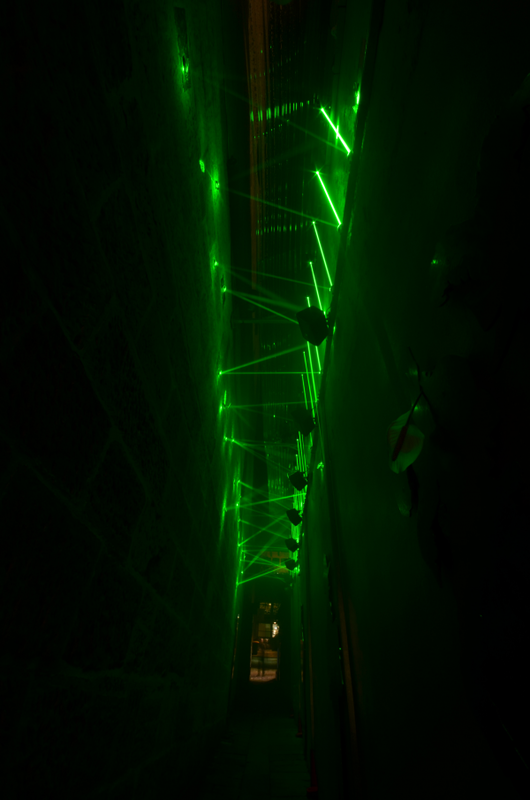 The piece features an intersecting network of laser beams, using the long narrow form of the Suez Canal to create a laser web, which reacts to the movement of people within the space through sound and colour change. ARIA Award winning producer and songwriter Lee Groves, created a custom soundscape for the work and we also designed an identity for RICHOCHET. 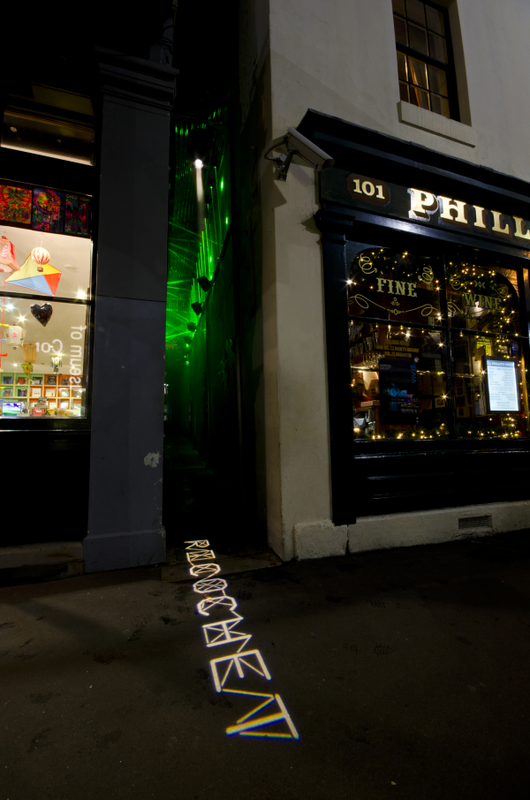 The light installation was more energy efficient then the existing pathway safety lights. 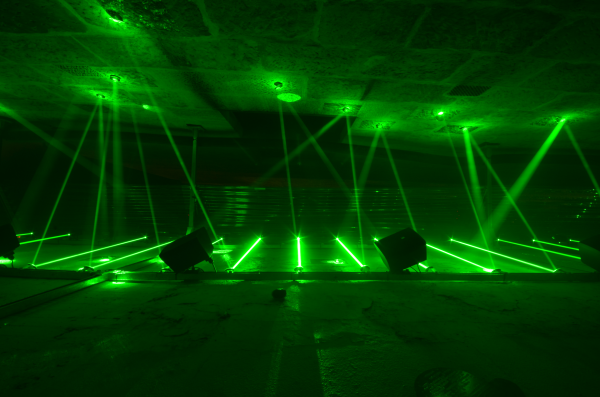 24 lasers were used for the lighting installation, each laser being 1W each (24W in total) compared to the existing pathway safety lights which is 18W x 2 fittings = 36W.